Add approximately 1 - 2 tsp. of Fog Mountain Green Tea (or your favorite green) to 4 cups of cold water. This will yield a very mild green tea flavour. Add a few slices of lemon, lime, orange, and cucumber along with a sprig of mint. Put in the fridge for 4-6 hours and top up with water as needed. 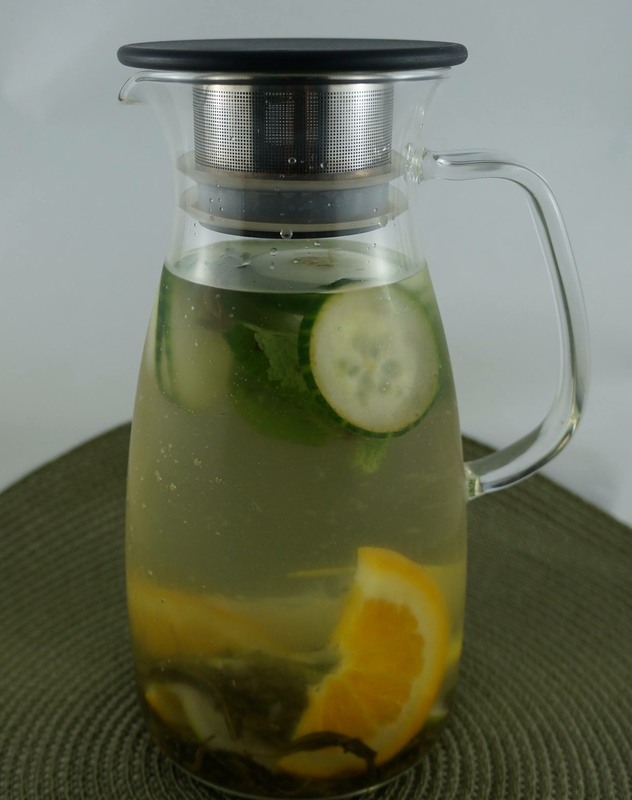 A very refreshing drink that is very easy and inexpensive to make.